Right on cue (just as London is bathed in glorious sun) and on time for the Diamond Jubilee Weekend celebrations, that handsome maverick genius, Christopher Bailey, has pressed ‘go’ on the release of the brand new Burberry 2012 ad campaign which sees new stars, actress Gabriella Wilde and musician Roo Panes, backlit and moody against ‘ye olde London town’. The campaign conjurs up thoughts of deepest darkest London whether it’s dead of night Soho or the Jack the Ripper territory of the East End with its vacated arches and steely gloom. 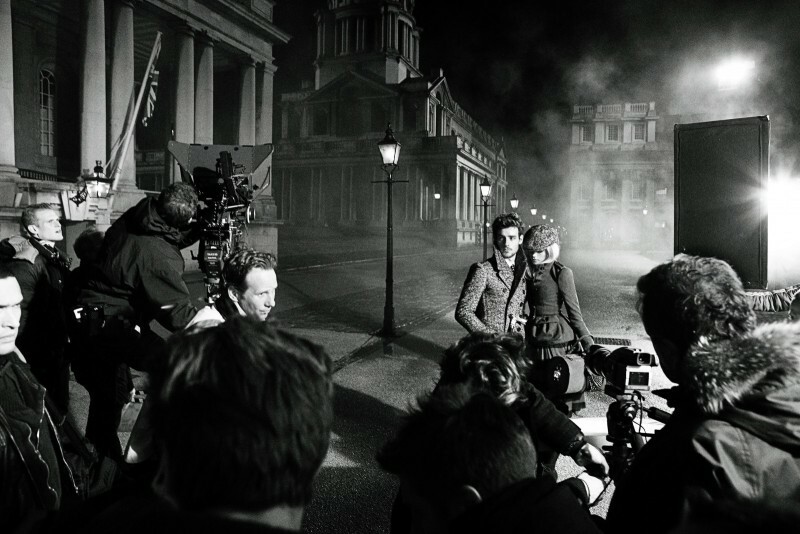 The Burberry Autumn/Winter 2012 ad campaign celebrates Britishness, London and the Burberry heritage of weather protection in the brand’s most cinematic shoot to date. 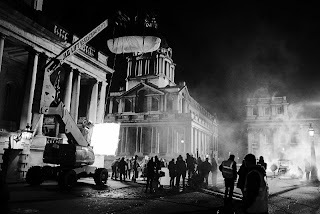 The campaign was shot at night under the creative direction of Christopher Bailey (Chief Creative Officer of Burberry) by Mario Testino at the iconic Royal Naval College in Greenwich London. 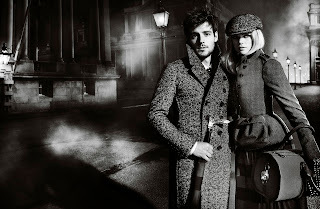 This week will also be the first time Burberry offer ‘click-to-buy’ on burberry.com for a campaign; a continuation of making the collection available to buy online immediately as Burberry show their catwalk collections – meaning customers can access the AW12 collection a whole season before traditional drop dates. London stores will also stock campaign pieces from 6th June. There is even a nice link with the Olympics through the chosen location as Greenwich is the official Equestrian competition site for The Olympics (and ties in with Burberry’s Equestrian Knight logo). And, to cover off Burberry’s well known links with up and coming indie music stars, Roo Panes wrote and recorded “Indigo Home” exclusively for Burberry at RAK Studios in London, which will be released as the official soundtrack to the campaign and available globally on iTunes from 1 June 2012. 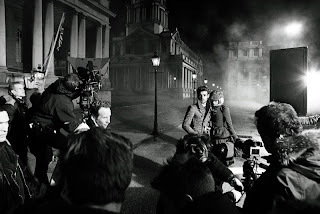 The full Burberry campaign will go live across all Burberry platforms and in London stores and Burberry.com on 1st June. The collection will be available in store globally from 6th June. Nothing is left to chance with Mr Bailey and that is why this brand is at the forefront of design, marketing and social media. Every possible synergic link covered, ‘t’ crossed and ‘i’ dotted. The man’s a marvel. First three images are from Burberry’s A/W’12 campaign. The remaining images are behind the scenes shots.